This level has medium difficulty and you need to use striped or fish trick to break all bottles. 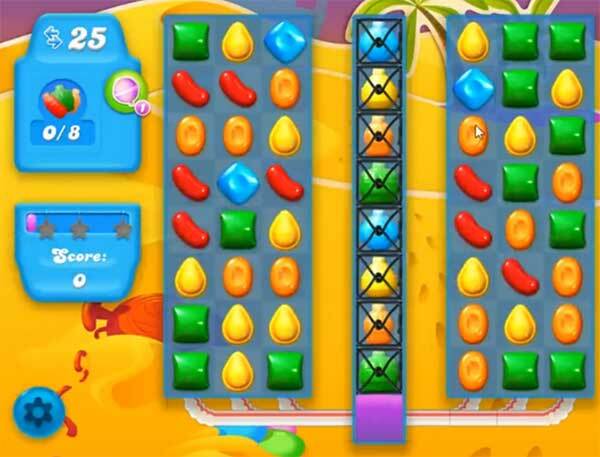 For this level you should try to play from bottom of the left or right part of the board and make fish or striped candy as you get the chance. Try to combine them with wrapped candy or colorbomb to break the grills with soda bottles to reach the target. Your post reads 50 moves…this is wrong…there is only 25!